FACE2FACE FILM STUDIO: Actress Anne Marie Ottersen and NRK’s Andreas Wahl in action. 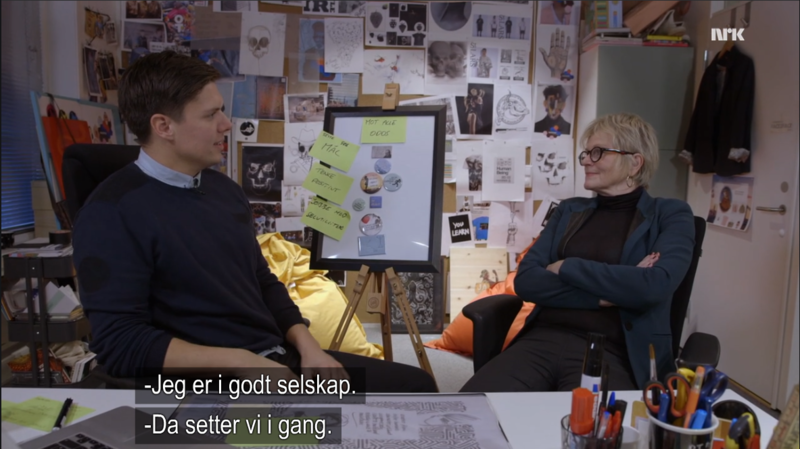 When the largest mediahouse in Norway, The Norwegian Broadcasting Corporation (NRK) needed a creative environment for their popular science-documentary ”Folkeopplysningen”, they chose Face2face. They found their perfect habitat for the filmshoot in our Creatives office at the HQ in Maridalsveien – this is the everyday surroundings and playground for our creative teams.